Nobody knows when we would have heard the clatter of tank tracks if it had not been for the technical talent and astonishing persistence of a certain British Lieutenant Colonel. Engineers of the Landships Committee spent many months trying to combine the then-available technical achievements of humankind to build a brand new combat vehicle. Despite their best efforts, they could not successfully piece such a vehicle together. 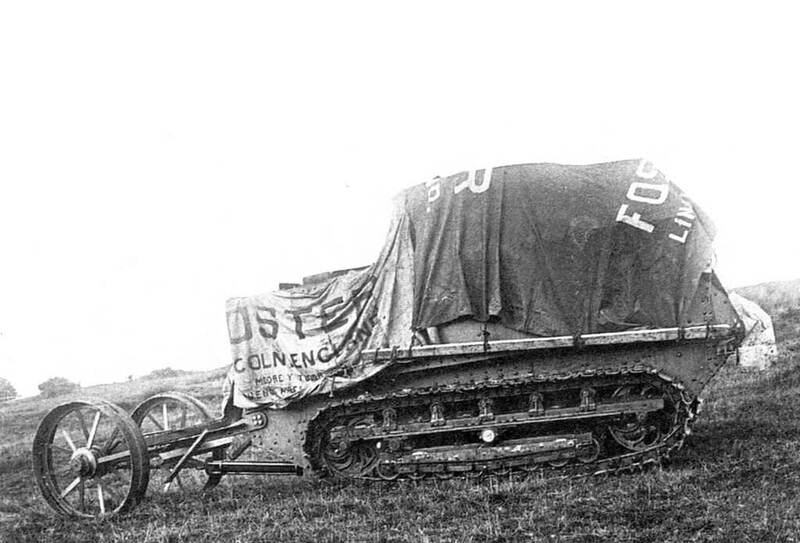 At the beginning of August 1915, there was a sudden breakthrough, and 7 weeks later, the first moving prototype rolled across the proving grounds. The man who made this breakthrough possible was Ernest Dunlop Swinton. Lieutenant Colonel Swinton would have made a perfect sci-fi protagonist. He was a career soldier and officer, participant of the Second Boer War, outstanding military engineer, correspondent, and analyst. Swinton saw a lot in his time, but nothing could have prepared him for what he saw during the autumn of 1914, at the frontlines of WWI. After the war, he said that he “understood the essence of what was later called ‘shell shock.’” He saw how machineguns reaped a bloody harvest of brave men who delivered one hopeless attack after another near Ypres, and his mind desperately searched for a way to break the costly stalemate of trench warfare. 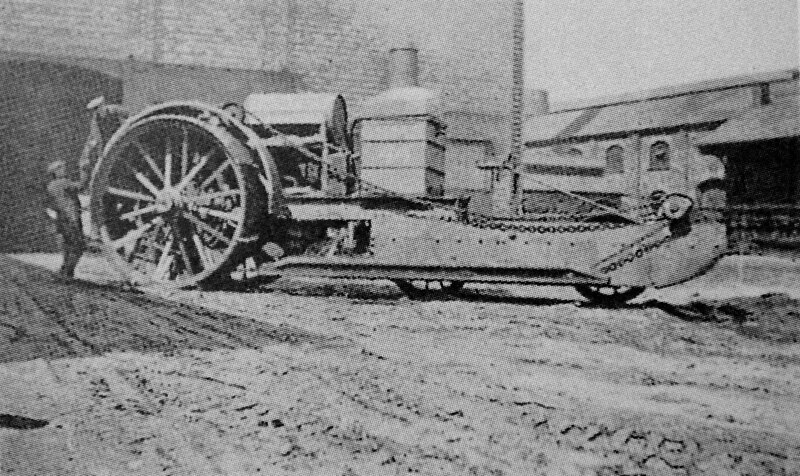 On 19 September, 1914, a brilliant idea surfaced in Swinton’s mind: a caterpillar tractor! Shortly before the war, he had received a letter from an old friend, in which the latter described trials of an American-made Holt caterpillar tractor in Antwerp. Its terrain-crossing capacity was far beyond those of wheeled vehicles. “If this tractor can really do everything it is meant to, why don’t we re-equip it and tailor it to meet our needs?” thought the engineer in Swinton. Without delay, he bombard high-ranking British officials with letters. Interestingly, by coincidence or as a metaphor, Swinton dubbed this process “sowing”. Swinton sought to create an “armoured machinegun destroyer”. One week after his epiphany, the officer returned to London on business. He was offered a chance to share his ideas with Lord Horatio Kitchener, who was the British Secretary of State for War at that time. However, the first person that Swinton approached with his idea was Maurice Hankey, an old friend and Secretary to the Committee of Imperial Defence. Hankey liked the idea and shared it with Captain Tom Tulloch – also known as Trinitro Tom – who was a military engineer and top British explosives expert. Tulloch who supported the plan. It turned out that Tulloch himself had embraced the idea of creating a combat vehicle based on the Hornsby tractor. Soon afterwards, Swinton went to the Prime Minister of the United Kingdom, although he did not say anything about his plans. 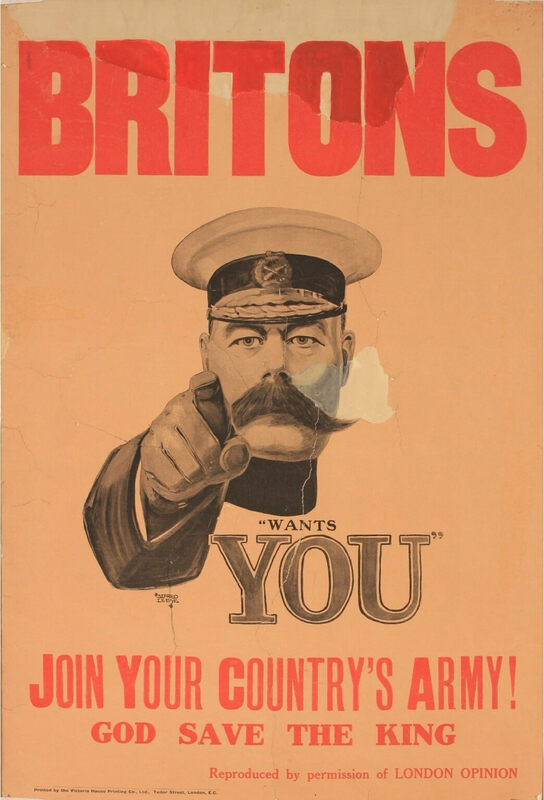 As a military man, his view was that he could not breach the chain of command, so he decided that he “had no right to share an idea that Lord Kitchener was not aware of.” Unfortunately, the engineer’s tactful act served no purpose in the end. Lord Kitchener cancelled their meeting because he was pressed for time. On 22 October, 1914, Ernest Swinton arrived in Saint-Omer, France, where the British Expeditionary Force headquarters was located. There, he met the engineers’ commander and the head of protective and construction work to try to convince them of his idea. However, he did not hold much hope of success; the commanders were too busy to investigate technical details, so he just wanted to bring the conservative men out of their shells. Sadly, he had no such luck. It was the rough equivalent of smashing his head against a wall repeatedly and expecting it to respond. On 2 January, 1915, Swinton received a heavy blow. Maurice Hankey confessed that he had explained the idea of a tracked combat vehicle to Lord Kitchener himself, and that the Lord had told him that he would not support the concept. Swinton grew desperate. The artful Hankey, on the other hand, kept his chin up and prepared a memorandum addressed to Herbert Asquith, the Prime Minister of the United Kingdom, and Winston Churchill, First Lord of the Admiralty. After receiving this document, Churchill set his sights on the idea of a “land battleship” and created the Landships Committee. In January 1915, two Holt tractors were tested at the Aldershot proving ground, but for some reason, Swinton was not invited. Swinton later complained in his recollections, saying, “For an unknown reason, Churchill was against collaborative research with the War Office… It resembled a grotesque comedy of some kind…” We can agree with that statement: a man who made it possible for the Landships Committee to appear, believed that its research was a waste of precious time and resources for the United Kingdom. This rift between them narrowed only after John French, the Commander-in-Chief of the British forces in France, received a communique from Swinton. 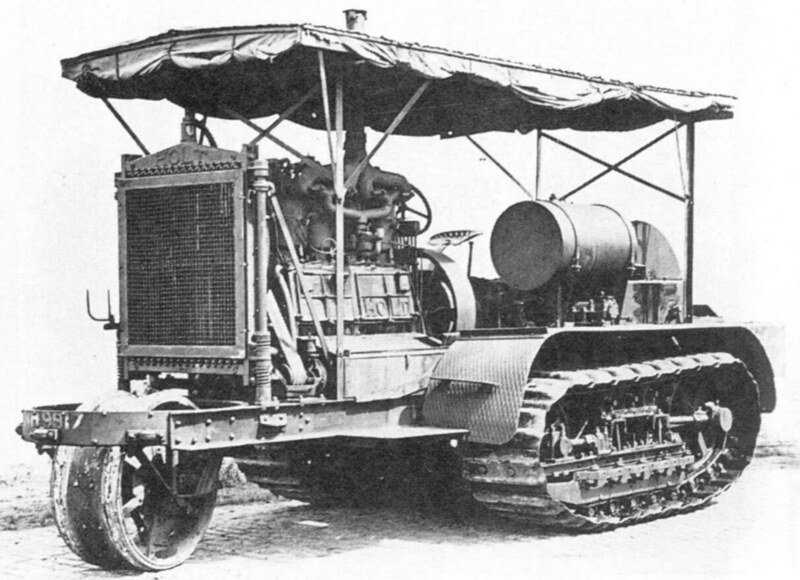 In this communique, Swinton wrote that “vehicles should resemble gasoline-powered caterpillar tractors”, and prepared a complete statement of work with all the potential characteristics of such a vehicle: a gasoline engine, a speed of 7 km/h, the ability to cross trenches with a maximum width of 1.2m, 2 machineguns, and a 40mm gun. French’s response was built around one question: were there any vehicles in Britain that could be tailored to the corresponding requirements, and if not, if was any way to build them? He was ready to send Swinton back to London as the head of the development project. The “sowing” of Ernest Dunlop Swinton had finally produced results. Fortune favours the brave and persistent. Swinton received the support of the influential commander, and also discovered his own source of power. Hankey put in a good word for his old friend when he was ordered to vacate his position and depart for the front lines, recommending him for the post of Secretary to the Committee of Imperial Defence. “Open Sesame! I now have the keys to every door,” commented Swinton on this change in his life. He immediately wrote to the Admiralty to request information regarding the War Office’s progress on his idea. Within a week, a contractor was selected to build a prototype: William Foster & Co. Ltd., based in Lincoln, Lincolnshire. They were selected for their experience in building tractors; they were the ones who produced the Hornsby caterpillar tractors and heavy wheeled tractors for towing cannons.. The only remaining matter was to find the right people to head the development team. William Trinton, managing director of the company, assumed leadership over the project to create the prototype of the “machinegun destroyer”. He had already tried to create a vehicle for crossing trenches, but trials of the “moving wheeled bridge” designed by Tritton at the beginning of 1915 ended in a fiasco. The new project was his chance to turn the tables. Walter Gordon Wilson, a Lieutenant in the British Royal Navy, offered his help as well. This career soldier had devoted many years of his life to the motor industry, having worked on vehicles for the Royal Naval Armoured Car Division since the beginning of WWI. The construction and assembly of the prototype was strictly confidential. Workers could only leave the plant’s premises if they had permission to do so. Those suspected of disloyalty were immediately given the sack. Right before the prototype’s trials, everyone grew anxious. The material for tracks was a hotly debated matter. The Head of the Landships Committee did not believe Swinton project success and considered cancelling the demonstration, but it went ahead in the end. The plant workers even came to the trials with their families. On 22 September, 1915, the prototype – named “Lincoln Machine No. 1” – covered its first few metres. Three months after, a successor appeared that later came to be called a “tank”. Fedoseev S. L. Tanki Pervoy mirovoy. M., 2012. Swinton D. E. Eyewitness. Being Personal Reminiscences of Certain Phases of the Great War, Including the Genesis of the Tank. New York, 1933.